for submitting product information about Mightymast Typhoon 2 in 1 Air Hockey and Table Tennis Table We aim to answer all questions within 2-3 days. for submitting product information about Mightymast Typhoon 2 in 1 Air Hockey and Table Tennis Table. We aim to answer all questions within 2-3 days. If you provided your name and email address, we will email you as soon as the answer is published. Great table , really good value and easy to put together. Fantastic purchase. 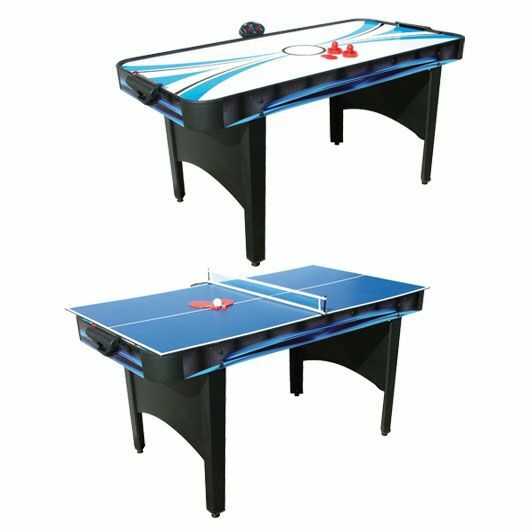 Amazing value for a 2 in 1 air hockey and table tennis table, the quality is remarkably good and the playing surface is terrific. Would highly recommend this product to families who have space for one. 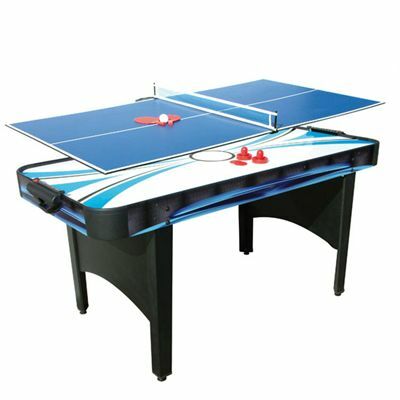 for submitting product review about Mightymast Typhoon 2 in 1 Air Hockey and Table Tennis Table.